Luxurious ‘Huis Zonneduin’ feels like home, and is ideal for groups of up to 16 people who appreciate a high level of comfort. The living room has a pleasant ambience with plenty of space, and contains a wood stove. The accommodation is also equipped with all the modern conveniences and amenities, including free wireless internet. The large private playing field next to the accommodation offers plenty of room for a wide range of sports. 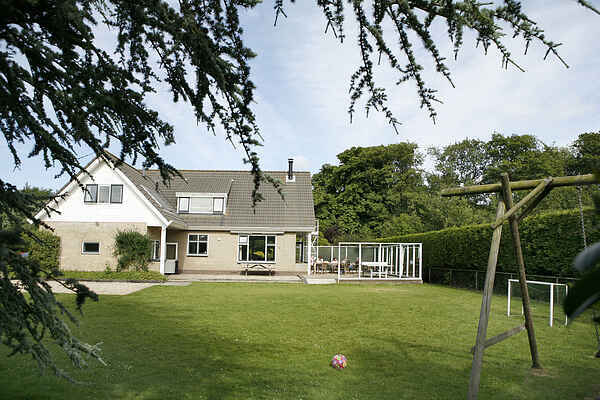 The house also has table tennis, a swing, Dutch shuffleboard, table football and hockey sticks with nets. And free WiFi of course. There is parking on site.There is a large terrace and garden furniture so you can sit outdoors in comfort.